As a designer, I've seen my share of awkwardly designed spaces. In most of my projects where I am dealing with an older home, there is always some design challenge to be overcome. Be it a sloping ceiling or awkwardly placed windows, there is something in the space that makes me wonder what in the world the builder was thinking. Because we don't live in perfectly shaped boxes, chances are your space will have it's own challenges that will require special attention. The best way to tackle the decorating is to accept the space for what it is. You can best access the true nature of the space when the room is empty of all furniture. Inside the empty space, you will want to take detailed notes and measurements. Use your phone and take pictures of the space from various angles. Be sure to make notes of architectural details like built-ins, and beams that cannot be moved. I find inspiration in many different places. Fashion, nature, photography, and travel have all inspired me during my decorating career. I can not start a project without the proper inspiration to guide the process. I often ask the client to show me something they absolutely love. This is usually a piece of art, an unique fabric or a statement making area rug. I then use the item to inspire the color palette for the space. Working backwards from an item you love will ensure you end up with a space that makes your heart skip a beat. It's important to collect the things you are drawn to for your home even when it seemly makes no sense at all. On my desk are beads given to me by my friend and Top 20 designer Joy Moyler, a piece of amethyst I picked up one Saturday morning, tons of books and various other knick knacks I like having around. These things go beyond the necessities of a functioning office and gives it personality. Don't worry about your collection making sense. Grab everything that inspires you. You can edit your selections later. When collecting room images as inspiration, be sure to take a really good look at the picture to see what it is that caught your attention. Was it the color palette or a particular piece of furniture? You might find that you are drawn to the simplicity or calming nature of a room. Whatever it is, just remember, the more detailed you are, the more success you will have recreating the look and feel of your home. 4. Choose your furniture carefully. Undoubtedly, you will end up living with your furniture longer than expected, so choose wisely from the beginning. 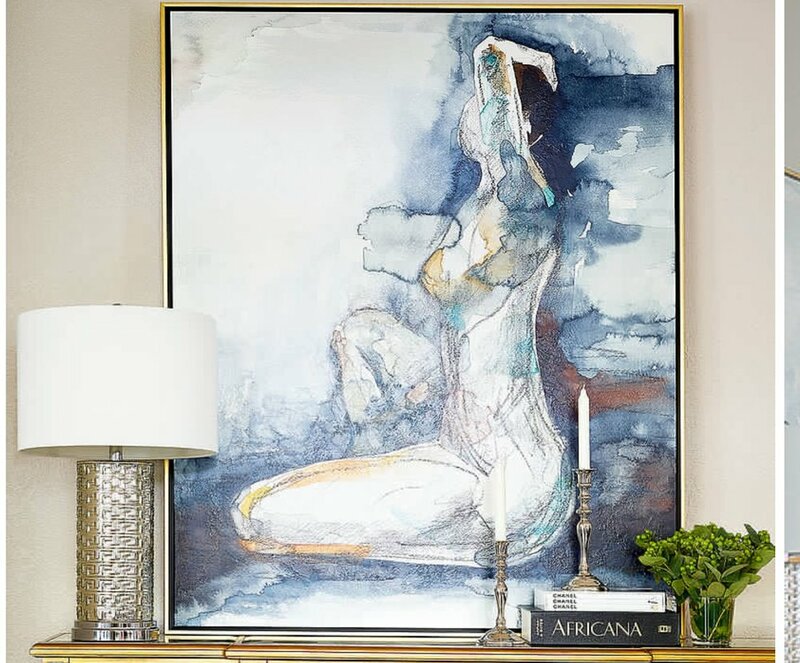 Invest in quality pieces that will anchor each room. For the living room it will be the sofa, for the dining room, the dining room chairs and for the bedrooms, it will be the bed. Buy these items first and buy them well. I'm obsessed right now with colorful coaches. I feel that if I'm going to have to live with it for a while, it should be a show stopper. My favorite sofas right now are velvet, and I can't get enough. They are so rich and vibrant when done in a moody blue, bright yellow, or emerald green. Be sure to take care to purchase furniture that fits perfectly into the room. Furniture that is too big or too small for the space is my pet peeve. When in doubt, give the sales associate your measurements and have them ok the purchase. You can digital layout tools. There are quite a few on the market designed to make the process easy for you. Final note. Purchase only the pieces you need. You are not obligated to buy the complete set. Switch things up. Mix and match the items in your home to create an exciting and alluring space. Those knick knacks you collected in step 3, the pillows you made from the fabric you love, the collection of family portraits that date back six generations, all go into this phase. Everything that separates your home from the other homes on your block can be found here. Window treatments, lamps, bedding, and accessories give you a chance to add layer upon layer of your personal style. I love this phase because it is what gives a room personality and where you can have a lot of fun. Because you choose the foundation (furniture) correctly, you can take as many risks with these items as you'd like. You can even switch them up seasonally, but most people just leave everything as it is.